Before attempting this procedure, you should verify that your hardware is compatible with A/UX 1.0 - A/UX bypasses the Macintosh Toolbox, and communicates directly with the hardware, so if your Mac is not on the compatibility list, you're out of luck. 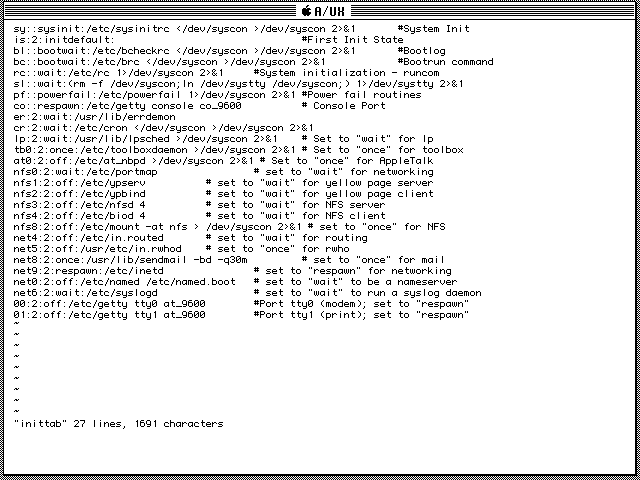 This also rules out any of the current Macintosh emulators - Unless your emulator accurately replicates the low-level functions of the PMMU, FPU, and SWIM chips, it will not work. 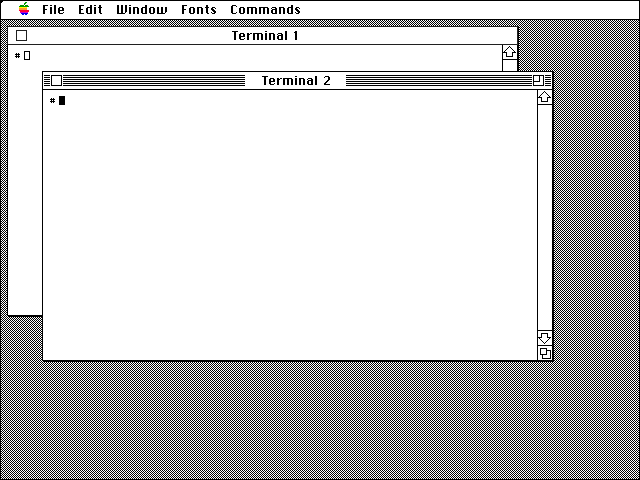 I should point out that I do not have a copy of Peter's A/UX 1.1.1 beta - being an Apple-internal release, distribution of this version would be illegal... and tracing it would be trivial. 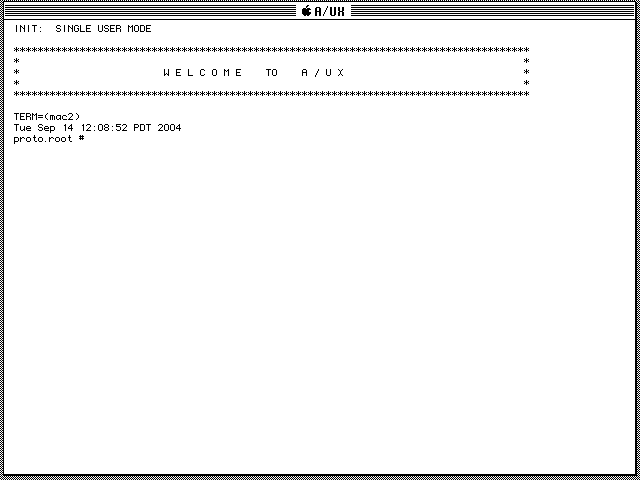 I have a copy of A/UX 1.1.1 that I found on the internet - As far as I can tell, it is the final release. 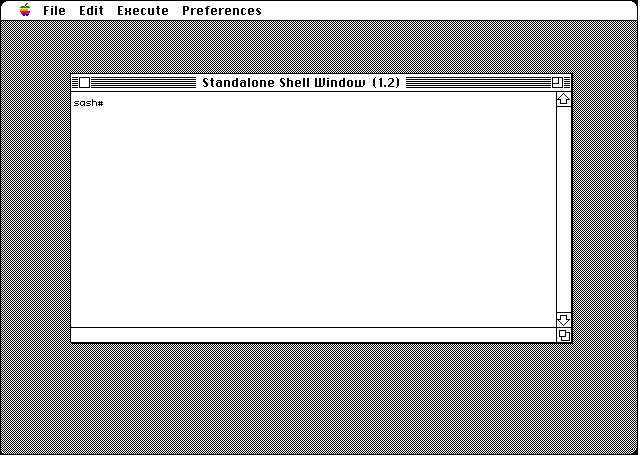 I also found a copy of the A/UX 1.1.1 SASH (stand alone shell) floppy, which contains some of the Macintosh startup files... but I still don't have the actual installation floppy. 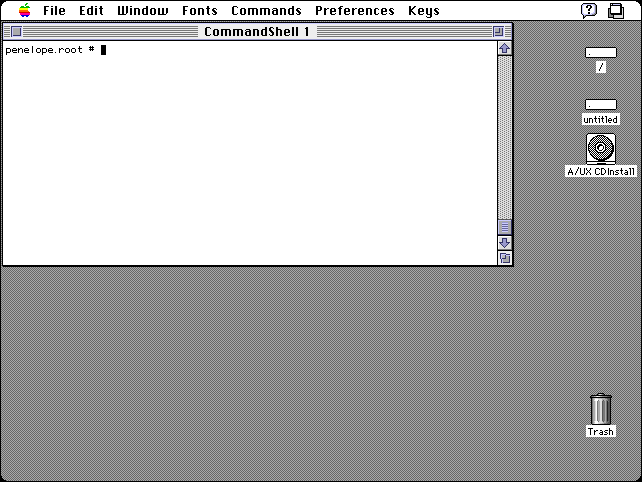 Using the Unix dd command, you can dump the entire A/UX 1.1.1 installation disk to a hard drive - This gives you a bootable "installation" of the operating system. However, there are drawbacks to this method. Since the dd command does a sector-level copy, the target drive ends up being the same size as the source. This temporarily turns your 1.0GB hard drive into an 80MB. Clearly, a more elegant solution is required... Start by building an A/UX 3.0 system. We're going to use it to build a partition table. If all went according to plan, you should now have a full installation of A/UX 1.1.1 on the Unix partition of your external drive. 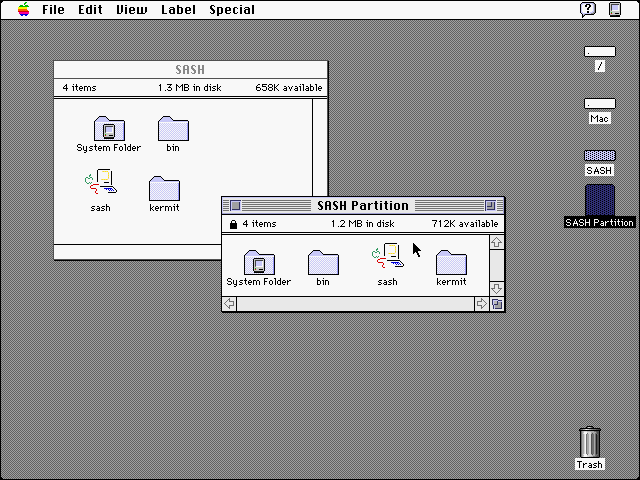 Copy the MacOS files from the cd-rom to the MacOS partition of the external drive... This will make your drive bootable. Shut everything down, and set the external drive to SCSI ID 0. 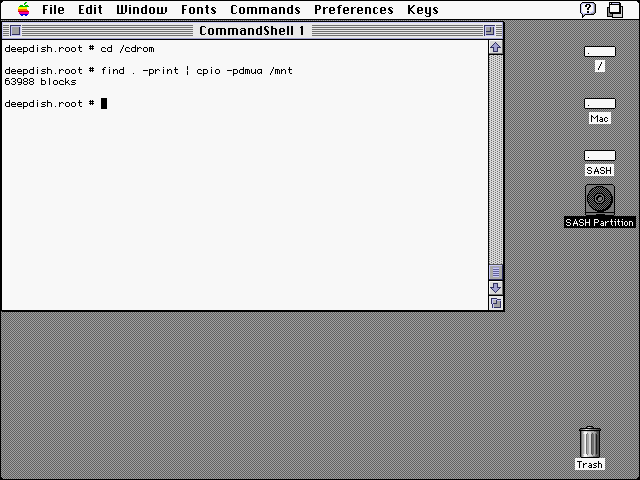 Connect it to your Macintosh II (if you have a PMMU), IIx, IIcx, or IIci... Fire it up, and double-click the SASH utility.